The Department of Tourism of the City of La Laguna, Tenerife has presented in Fitur the lines of action that will be carried out in 2017 to promote this municipality, the only one in the Canary Islands declared a World Cultural Heritage by UNESCO. During the event, held at the Casino Gran Vía de Madrid, responsible for the area, Maria José Castañeda, it has announced, among other actions, the implementation of an application of virtual reality to visit the town, La Laguna 360˚ Tour. “This tool, with environmental effects and developed by Atlántida Media in collaboration with Imaginar, will allow to travel in virtual way and in 360 degrees the main tourist areas of the city,” explained María José Castañeda. 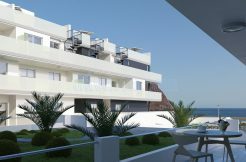 The application will invite the visitor to a walk in HD by the main monuments of the historic center, you can even access the interior of one of them; By the hills of Anaga, Biosphere Reserve; And by the unique landscape of natural pools of Bajamar and Punta del Hidalgo. 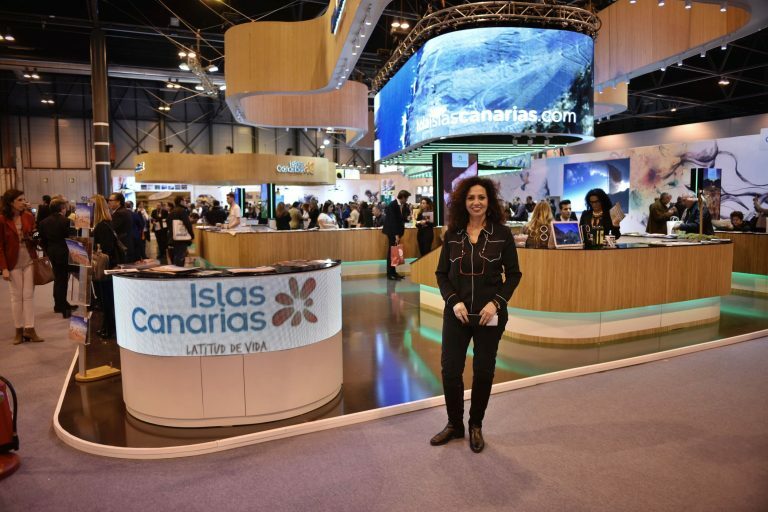 “We wanted the municipality to be present in Fitur in a characteristic way, taking La Laguna to Madrid, and what better way than through this virtual visit,” said the councilor. In addition, after the presentation of the application, Ifema will take several glasses of virtual reality so that the attendees to the fair can try the tool and “walk” through the municipality. The executive producer of Atlántida Media, Sergio Núñez, explained during the presentation that the application will be available soon through an online link and under free download for all mobile devices. La Laguna 360º Tour adds to other actions promoted by the Spanish state-owned company dedicated to the management of innovation and tourism technologies (SEGITTUR) with the development of virtual visits to interesting sights such as the Alhambra or the Giralda. However, it is the first one to design a visit to an urban complex declared World Heritage, to which are also added the coastal and mountain areas. During the event, María José Castañeda also expressed the desire of her area to lay the foundations of a sustainable tourism for the city, “which contributes wealth and is based mainly on the patrimonial and cultural offer, not forgetting the nature tourism and the excellent Coast of the northeastern region “. Castañeda reported on the implementation of important projects to be carried out in 2017, such as the La Laguna Tourism Master Plan to be developed by the Chair of Tourism and the pilot project for the development of micro-tourism ecotourism that the Ministry of Tourism Government of the Canary Islands will carry out with the collaboration of the Tourism area of ​​the lagoon municipality in Punta del Hidalgo, both through the University of La Laguna (ULL). He also noted that La Laguna has agreed to an important line of financing for the promotion of tourism and trade, through the European program Interreg MAC 2014-2020, with the City-2020 Project, which involves four other cities Heritage of The Humanity of the Macaronesian territory, which are Angra do Heroísmo (Azores), Old Town (Cape Verde), Saint Louis and Gorée (Senegal). The mayor presented the promotional video of the sports test Ultra del Nordeste, held in La Laguna in 2016 and will be organized again this year, as well as new itineraries self-guided by the coast and the Anaga mountains, recently declared Biosphere Reserve . “These itineraries are in addition to the offer of guided tours of the historical complex in German, English, French and Spanish,” he explained. With this, the Department of Tourism wants to make clear its commitment to leisure and nature tourism. Participating actively in Fitur is crucial for La Laguna. “We must take into account that our municipality attends this fair to present the lines of action of this 2017 to professionals, agents and tour operators, but also comes as part of the joint promotion strategy of the island through Tenerife Tourism” , explain. Diverse groups and associations of entrepreneurs attended the event and, in addition, it was possible to taste a local product like wine thanks to the involvement of Bodegas Balcón de La Laguna in its eagerness to promote this destination in Fitur. Likewise, a representation of the CB Canarias also attended the presentation, joining with other promotional initiatives, such as the installation at the fair of a mailbox, called Recuerdos de La Laguna, where attendees to this international meeting may deposit a Postcard that later will be sent to its destination with the idea of ​​reminding to him that they are invited to know La Laguna; The presentation of a book of images of the municipality of the photographer Tarek Ode, as well as a video about La Noche en Blanco or gastronomic-cultural projects. “The Laguna accompanies the other 14 jewels of the Spanish heritage, as it is an integral part of the Group of World Heritage Cities of Spain, which has its own presence in Fitur,” castañeda notes. In this sense, and as part of the group’s promotion strategy, La Laguna participates in the Route of the World Heritage Cities of Spain, where Fitur attendees will be able to seal a passport in the different spaces of the 15 cities and Of the Thyssen Museum to participate in the draw of three nights in Paradores of Spain. The municipality of San Cristóbal de La Laguna lies in north-east Tenerife, in-between the Anaga mountain range and the slopes of La Esperanza. Most of the city stands at an altitude of roughly 600 m (1,970 ft), with the highest point being Cruz de Taborno, 1,020 m (3,350 ft) above sea level. The coastal part of the municipality in the north covers the farmland regions of Tejina and Valle de Guerra, as well as the tourist destinations of Bajamar and Punta del Hidalgo. By contrast, in Anaga you will find little hamlets such as El Batán and Las Carboneras. Covering a vast open area in the middle of the municipality is San Cristóbal de La Laguna, which was declared an Asset of Cultural Interest and a World Heritage Site by UNESCO in 1999. La Laguna was the first unwalled colonial city and still preserves its original 15th century layout almost intact. In fact, this layout was used as a model for building many other colonial cities in America. Its streets, with their fantastic shopping atmosphere, gastronomy and leisure, are also full of monuments and historic buildings. The Guanche name for the area on which La Laguna stands was Aguere, and that term is sometimes still used to refer to the municipality. It is also known as the City of the Adelantados, as this is where the Adelantado Alonso Fernández de Lugo and his family settled. After the conquest of Tenerife, La Laguna became the Island’s first capital city, turning it into the heart of political, financial and cultural power on the archipelago. The first plan of the city on record was drawn by the Italian engineer Leonardo Torriani in 1588. San Cristóbal de La Laguna currently bears the honorary titles of Noble, Loyal and Faithful city, and is also known as the Illustrious Historic City of San Cristóbal de La Laguna. The University of La Laguna is one of the most emblematic institutions in the municipality and is, of course, a sign of the city’s cultural relevance. Tenerife’s first airport – Tenerife North – is also here, in the area known as Los Rodeos on the outskirts. The airport is well connected to the rest of the archipelago, and also links up to various destinations in Spain and abroad. 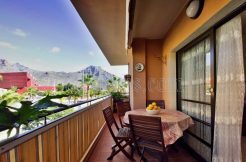 Its location near to the capital and to the tourist area of Puerto de la Cruz is a great advantage. The coast of San Cristóbal de La Laguna has a series of lovely natural swimming pools and rock pools in Punta del Hidalgo, with a modern lighthouse nearby. The nearby town of Bajamar also has large bathing areas, making it a popular place among the locals and tourists for a leisurely day by the sea.